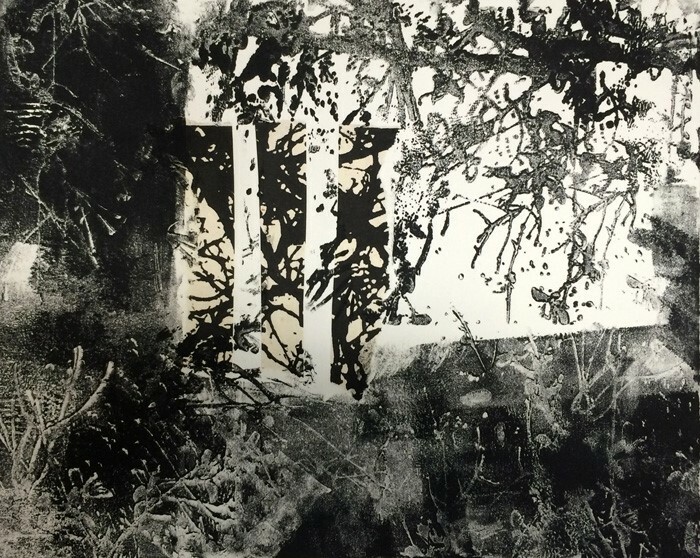 Learn from one of the area’s most imaginative and skilled printmakers in a two-day, adults only Monotype Workshop Friday, March 27 and Saturday, March 28, 2015 from 10:30 a.m. to 3:00 p.m. at Coos Art Museum. Renowned local artist, printmaker and art educator Pat Snyder will share with workshop participants the painterly printmaking process incorporating spontaneous painting and/or drawing within the fine art of printmaking using an etching press. Materials can include paints, inks, pastels, charcoal and crayons or a combination of materials painted or drawn onto a surface (substrate). Substrates can be plates of wood, metal, glass, or plexiglas, however, for this workshop students will use plexiglas as the substrate. Plexiglas offers a consistent thickness supplying a uniform etching pressure for all students and due to its transparency can be placed over drawings or photographs acting as a useful guide for making the monotype. Participants will learn the many different tools and materials for applying and subtracting paints and/or inks. Oil-based inks and paints have been popular with artists for their slow drying times. This Monotype Workshop will use non-toxic, slow drying, and safe Akua® water-based paints and inks. Additional topics will include monotype terminology, proper use of the etching press, the limits of materials and supplies, chine colle (specialty paper glued to monotype) and studio setup. This workshop is a prerequisite for independent use and rental of Coos Art Museum’s Printmaking Studio. Cost for the two-day workshop is $75 for CAM members and $90 for non-members. Registration ends March 19, 2015. For online registration use the booking form below or contact the Art Education Dept. at (541) 267-3901.